I imagine most Americans visiting Ireland come home with gifts touting one of its most famous brands, Guinness. At least that's how I came into possession of this bottle of Guinness Barbecue Sauce—my mom gave it to me as a gift after a recent vacation to Ireland. Having gotten its start all the way back in 1759 when Arthur Guinness began brewing ales, it's no wonder this brand has become synonymous with the country. It wasn't until almost 20 years after he began brewing that Guinness introduced his first dark beer, which was a porter at the time. Then, in the 1840s, Guinness introduced the stout style they're known for to this day. 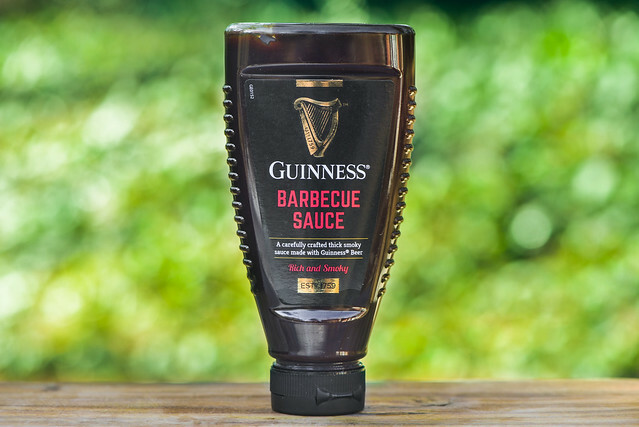 Beyond their beer, Guinness has an extensive suite of items utilizing its brand, one of those being barbecue sauce. In the US, they license Guinness to Kraft, who produce a Bull's-Eye sauce using their beer. This particular bottle came from the UK though, which is manufactured by a company called AB Foods based out of England. 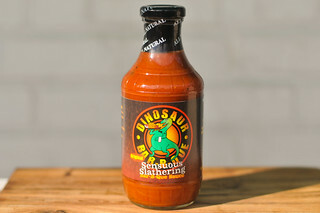 A very familiar sweet molasses and tomato aroma fills the nose on first whiff of this sauce. 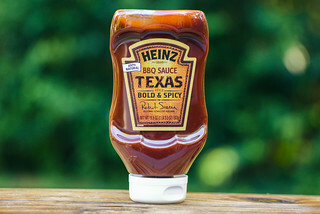 It treads the standard "bold" barbecue sauce territory that's common for supermarket staples. While sugar plays the starring role, there's a strong acidity as well, which is a mixture of deep tomato and vinegar. You don't really get that roasted aroma of Guinness in the aroma, and there's also no hint of heat or any nuances from other spices. 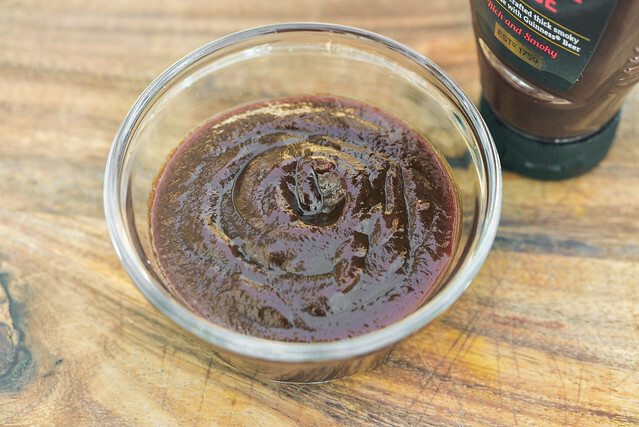 This sauce has a dark maroon hue, slight texture to it, and a glossy sheen. Between its dark color and opaqueness, you can't see any spice specs except for a bit of black pepper here and there. The sauce has a very thick consistancy and falls from a suspended spoon is one large drip, then stops, leaving a very heavy coating of sauce remaining attached to the silverware. 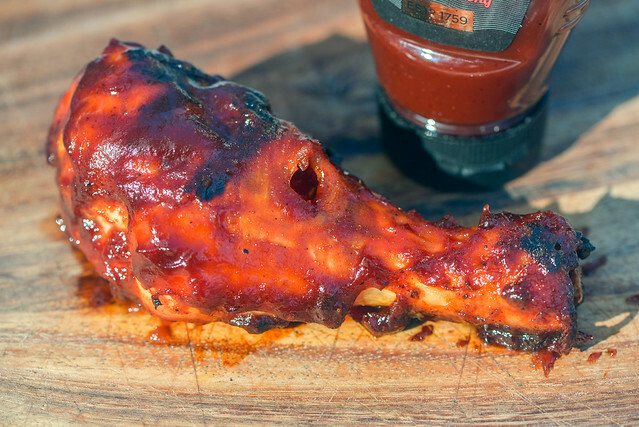 Like in the aroma, the first taste of this sauce is very familiar with a strong sweetness that mixes with tomato and heavy molasses to start off the ubiquitous barbecue profile. The tomato is strong and acidic, and only becomes more so as vinegars ups the tartness and provides a foil for the sugar. Then the stout comes in and, instead of adding a toasty or coffee-like character, it turns the sauce very astringent. This tart and pungent profile dominates from here on out all the way through to the aftertaste. 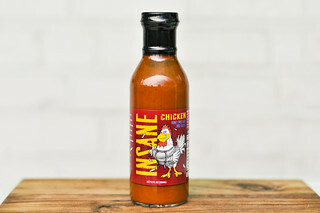 This sauce coated the chicken in a thick, uneven layer that began to blacken over indirect heat. When move directly over the coals, there was some quick charring as well as burn off, which left me applying one additional baste of sauce at the end. The flavor of the sauce found much better footing after being cooked. Still present was that astringent stout flavor, but it became better balanced with the sweetness, delivering some of the flavor of Guinness in way that played well with the rest of barbecue sauce profile that included a pleasing tang and molasses. I'll be totally open right now and let you know that I'm not a stout man. Every once in awhile I pop open and enjoy the deep roasted flavor of a stout, but generally I tread lighter beer territory. So that may be influencing my thoughts about this sauce, which boils down to taking your average overly "bold" supermarket sauce and making it more bitter, to the point of unpleasantness out of the jar. After being cooked though, when the stout found a good balance with the sugar, I was able to appreciate the flavor that Guinness brought to the party, but it still wasn't a sauce I would personally choose. I am left wondering though how close this may match the American-made version, which is under the Bull's Eye brand, so you may see another Guinness sauce up here soon, despite it not being a personal favorite so far.